One of the reasons to choose a German Shepherd is for their innate protection and guarding ability. 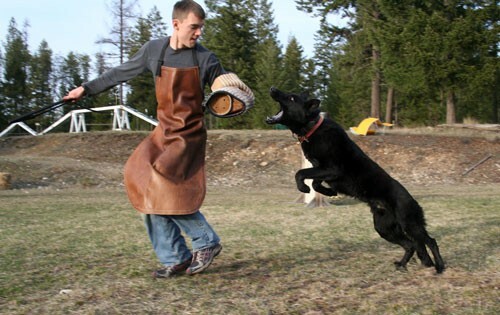 Of dog breeds, the German Shepherd is distinctly reserved with strangers and able to discern between friend and foe. 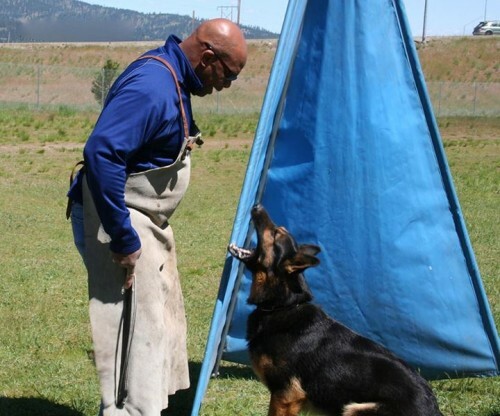 With special training, such as Schutzhund (IPO) or Personal Protection, these natural instincts can be developed such that the dog learns to respond to commands to protect as well as to lie down and simply watch the suspicious person. In some training, the dog will learn what defines a threat and then respond accordingly even without a command.